Attachments designed to perform, built to last. Virnig Manufacturing builds high-quality, hard working attachments for skid steers, compact tractors and more, with pride and integrity right here in the heart of Minnesota, here the USA. Speak with a Virnig product specialist now 763-307-2800. No matter what attachments you need, you’ll never go wrong with Virnig. That’s a promse. Lano Equipment is proud to partner with Virnig Manufacturing of Rice, MN who builds some of the most popular skid steer attachments for sale anywhere in the country. When you choose Virnig skid steer attachments or Virnig excavator attachments for your construction, maintenance or utility applications, Lano Equipment offers you world-class customer service, plus competitive financing programs, parts and service. Dedicated to building the best attachments you’ll find anywhere. Choose new or used Virnig skid steer attachments. 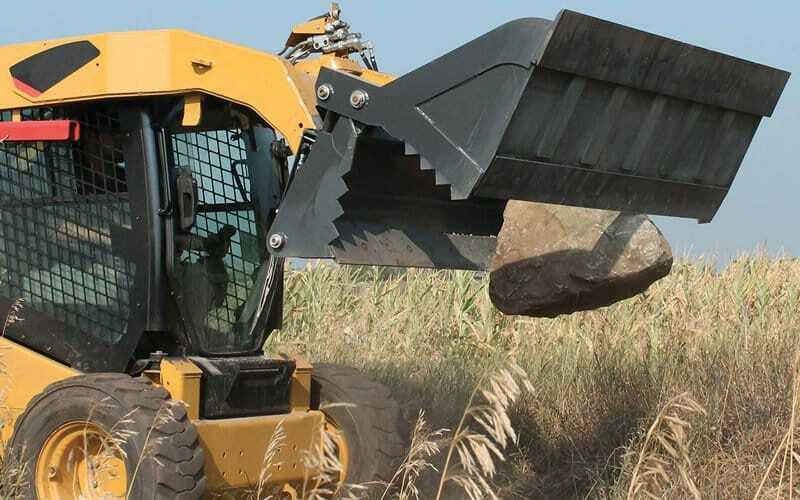 Whether your project requires moving snow, dirt or heavy materials, Lano offers great prices for skid steer blade attachments in a variety of widths and styles for practically any construction, agriculture, landscaping, or maintenance application. Choose from dozer blade attachments, snow blades, snow pushers, v-blades, grader attachments and more from top brands such as Virnig and other quality brands. 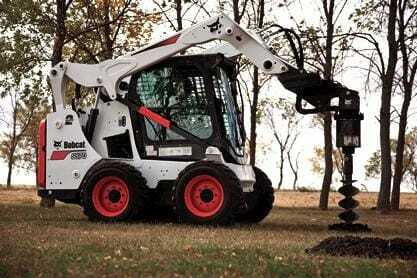 Specialty skid steer bucket attachments are essential because you seldom encounter the same task twice. Lano Equipment offers an array of bucket options for skid steers including rock buckets, dump hoppers, side buckets, snow buckets, manure buckets, and many more from Virnig. Versatile and effective, our huge selection ensures you will find the bucket perfect for your application to power your profitability on every project. 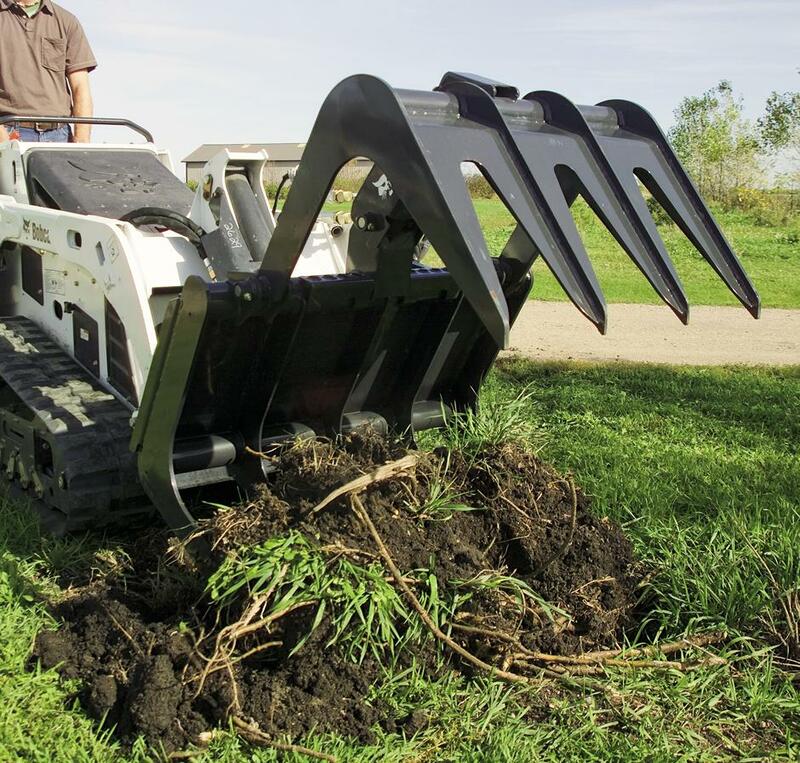 Soil conditioner attachments, also known rotary tiller attachments are used with your skid steer loader to make resurfacing landscapes quick and easy. If you need an attachment for landscaping projects, Lano Equipment offers many sizes and styles, new or used, for applications involving heavy duty dirt work, from top brands such as Virnig, Take your landscaping operation to the next level with these high-performing attachments. Choose from multiple styles and sizes of Virnig broom attachments for a variety of heavy duty cleaning task. With a variety of options, both new and used, sweep a clean path easily and efficiently with hydraulically-driven angle broom attachments for your Bobcat. 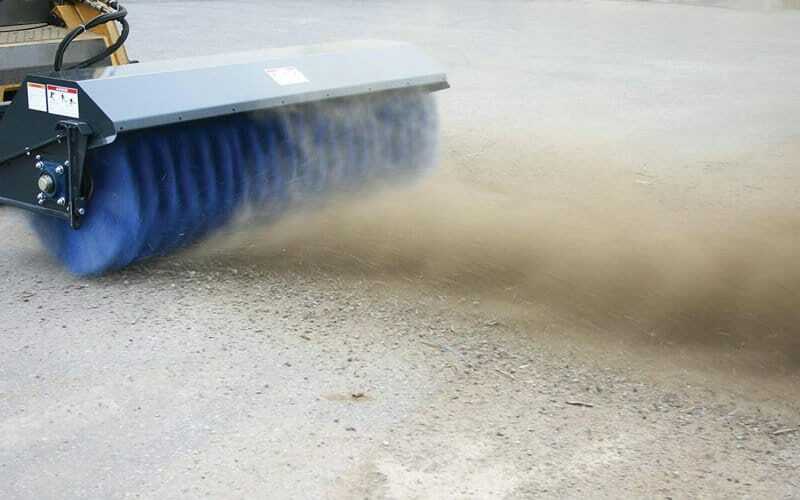 Lano can get you a wide selection of quality Skid Steer angle brooms and bucket brooms, from Virnig to help you efficiently clear snow and debris from roads, parking lots, construction sites, curbs and street gutters. Dig holes with speed and accuracy using high quality augers and bits from Virnig. 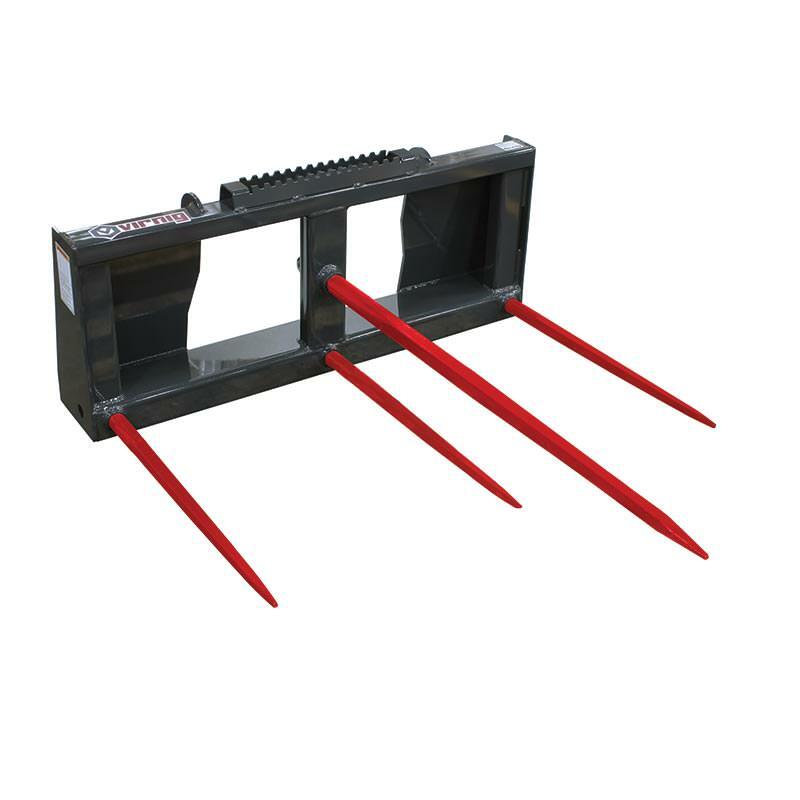 Lano offers affordable prices for a variety of skid steer auger attachments that allow you to drill post holes, mix and pour cement, grind stumps, all by simply changing bits. 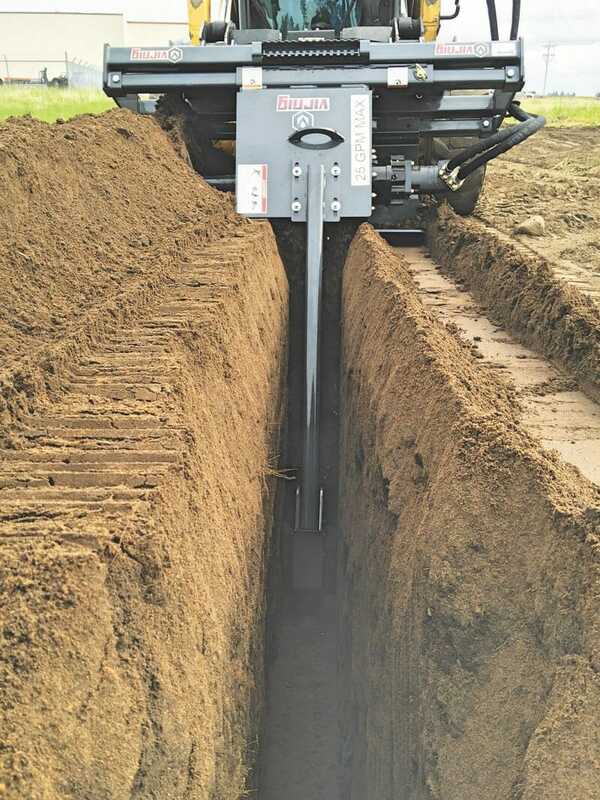 Using heavy-duty hydraulics, an auger attachment bites into any soil condition with ease and efficiency. Bits are available in multiple sizes and materials to accommodate any task. Lano Equipment offer a variety of skid steer grapple attachments for any task from Virnig, including brush grapples, log grapples and root grapples, to heavy duty scrap and tine grapples – all highly versatile attachments. Available in a nice range of prices, grapple attachments add versatility to any project that needs to move heavy materials in a hurry. Scrap buckets, tree pullers, root grapples, you name it, Lano Equipment can get if for you. 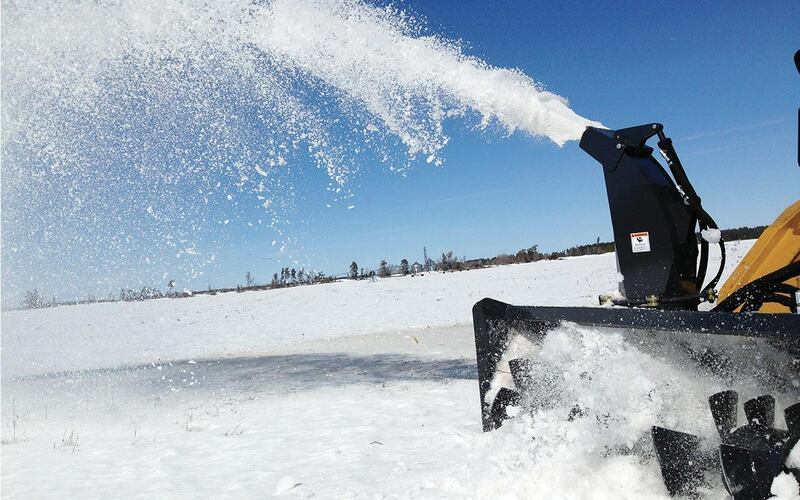 Snow removal can be a daunting task without the right snow removal attachments. Lano offers everything you need, including snow blades as well as snow pusher, snowblower, and v-blade attachments from Virnig. 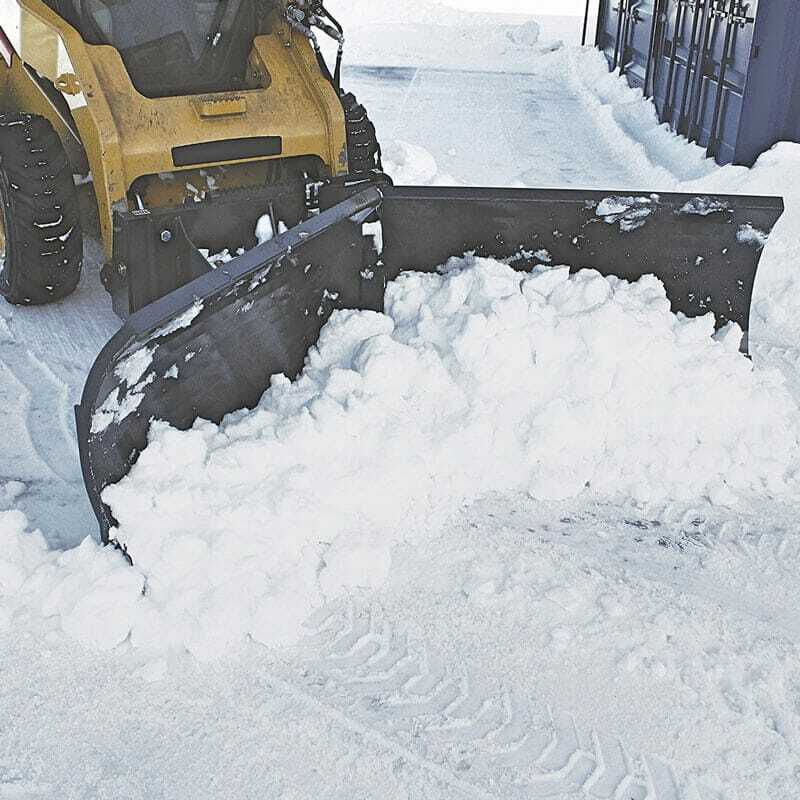 Select the skid steer snow attachment that best suits your projects and price range, let Lano help you make your winter season that much more profitable. 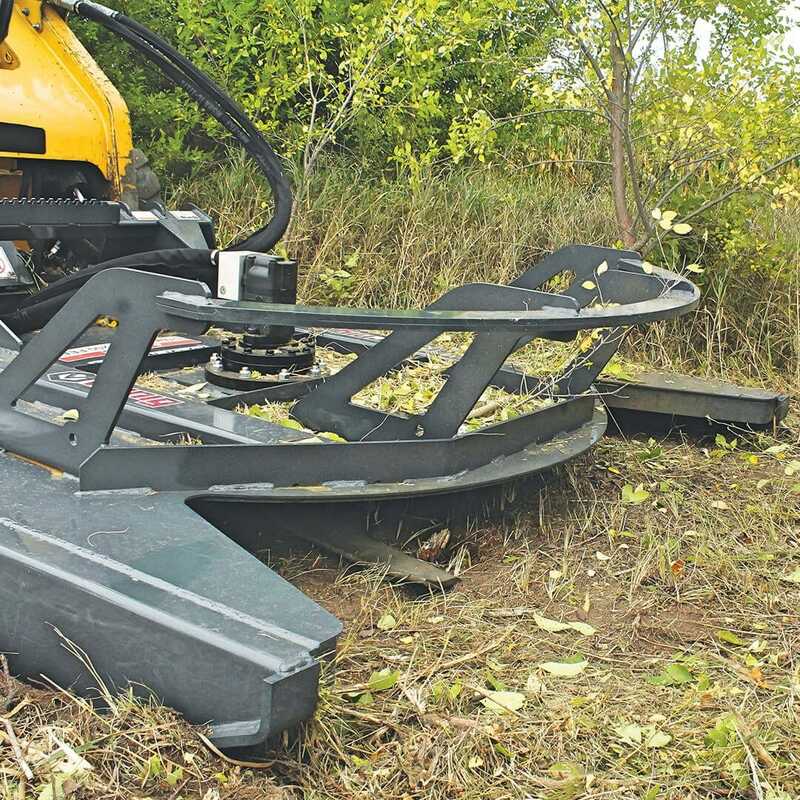 These affordable Virnig skid steer attachments give your operation huge versatility. 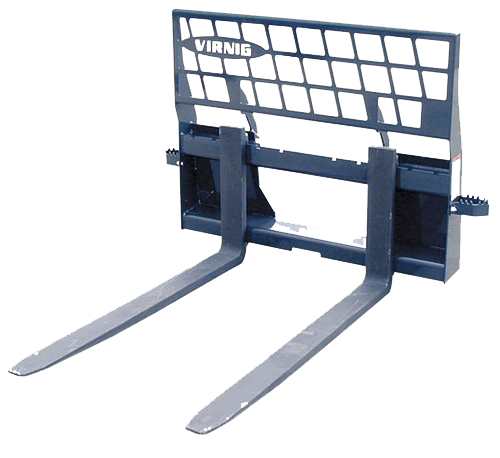 Virnig pallet fork attachments allow you to move bulky, bagged or palletized material quickly and easily. Adjustable forks load and unload, lift and carry, move and place materials around a variety of jobsites. Put them to work on applications such as industrial plant and landscaping work, construction sites, farm chores, fertilizer handling, and more. 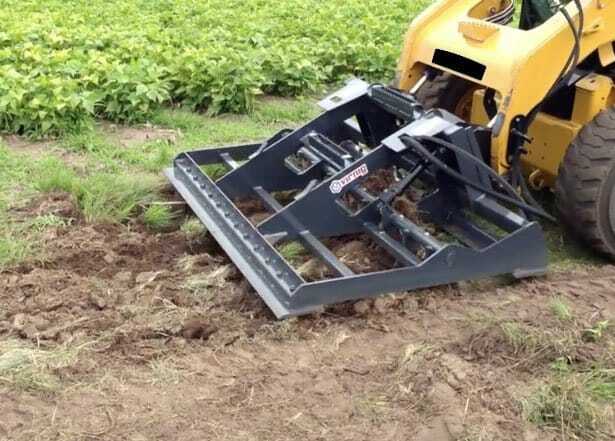 With a Virnig skid steer trencher attachment, your skid steer will dig trenches for lines, drainage, utilities, etc. and compact the soil afterwards. Lano Equipment offers high quality models from Virnig for applications like these. If you have a project along these lines, check out our selection. Built for the demands of rigorous trenching jobs, our products are built to perform because of their strength and durability. Check our used inventory, we might have models worth considering. Land-leveler attachments, also referred to as planers, are an aggressive, multipurpose, and a very affordable solution for site preparation. 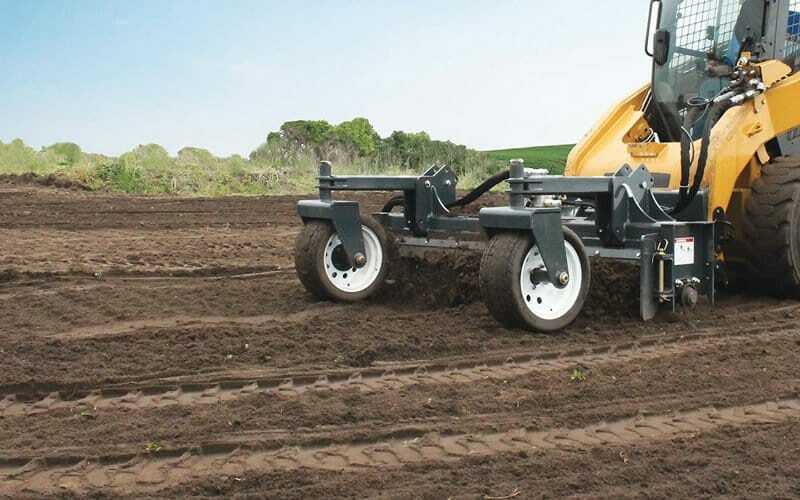 Land-leveler attachments, available from Virnig are designed to cultivate, cut, grade, and/or level land for landscaping applications. Lano offers different types of rollers, hydraulic scarifiers, and planers. Check out our complete selection that will offer greater versatility to your operation. See them in action: Virnig skid steer attachments. Virnig Manufacturing has provided us with some great 30 second videos of their most popular skid steer attachments. Skid steer auger attachments, skid steer grapple attachments, skid steer snow pusher attachments, skid steer rake attachments and more. Check them out, see them in action. Just click through the slider to your right.